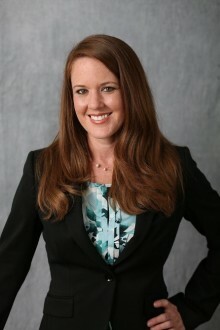 (West Des Moines, Iowa) Emily Bahnsen recently joined Kum & Go as philanthropy manager, and will manage Kum & Go’s philanthropic giving programs, including the company’s annual United Way and Habitat for Humanity campaigns, grants and in-kind donations. Bahnsen will also work closely with the Krause Family, owners of the Kum & Go convenience store chain, on their personal philanthropic efforts. Bahnsen joins Kum & Go from Wells Fargo, where she was a community affairs consultant. Prior to Wells Fargo, she spent 13 years at the Des Moines Arts Center in a variety of roles, most recently as development director, a role to which she was promoted in 2009. In addition to her work at Kum & Go, Bahnsen is a member of the Mid-Iowa Planned Giving Council, Association of Fundraising Professionals and Community Foundation of Greater Des Moines Funders Forum. She also volunteers her time with the Young Women’s Resource Center Young Empowerment Partnership board, Business Volunteer Council, and as a reading mentor for Everybody Wins Iowa. Kum & Go has a long history of social responsibility, giving 10% of profits to charitable organizations which serve our associates and customers. In 2017, Kum & Go demonstrated its Caring core value by giving to nearly 300 nonprofit organizations through financial, in-kind, and volunteer support. To learn more about Kum & Go’s philanthropic efforts, please visit http://kumandgo.com/giving.